The gear s2 smartwatch is a premium looking watch with great curves, great features and top of the line smartwatch. The platinum watch is as nice a design in the smartwatch industry and you will have everybody looking at your gear s2 classic. 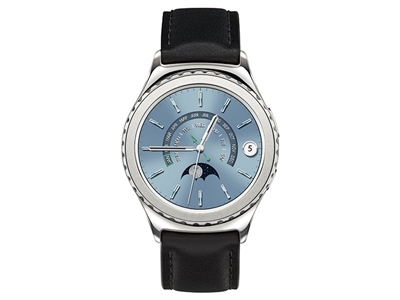 The gear s2 classic price for what you get cannot be beat. The genuine leather makes it even better. Every feature is at your fingertips with the moving bezel, special classic s2 apps. Now apps available on iphone for samsung gear s2 watch classic and android. You do not have to pull you smartphone out everytime a message comes in. Just check your gear s2 classic for notifications. For starters, S2 is a bit thinner as compared to Gear S2 Classic but both these watches have same connectivity options as well as battery capacity. The Gear S2 features a minimalistic design with a futuristic look, however, the S2 Classic is designed for people who prefer a traditional looking, watch like, smart watch. Both the smart watches have unisex designs however Gear S2 is more universal gender wise. The looks for both smart watches have been made compatible with complete practicality. Both Gear S2 and S2 Classic are water and dust resistant. The S2 comes with a band lock mechanism by Samsung. This means you cannot put any other watch band on it other than those designed by Samsung to fit the smart watch and most of them happen to be very sporty in appearance. Whereas, the S2 Classic is rather friendly and compatible with any standardized 20mm watch straps available in the market. 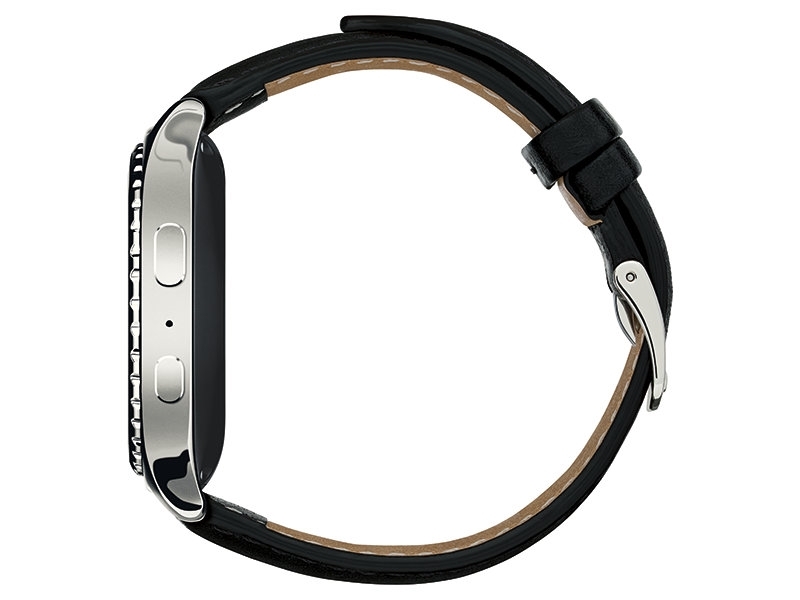 Those provided by Samsung are made of high quality metal and/or genuine leather. Gear S2 and S3 Classic feature rotating bezels to allow for effortless navigation of the interface. Tactile feedback is provided with rotation allowing your fingers to feel the movements in the menu screens. Both run on the latest version of Tizen and there is absolutely nothing that S2 will do and S2 Classic won’t. There are a number of customizable watch faces and Samsung approved and provided apps that allow you to design your own watch face. S2 and S2 Classic both can easily track activity automatically, measure heart rate, send and receive text messages, navigation data and that’s only the surface we’re scratching. Home and back buttons are situated on the right sides of the smart watches. Where the design is concerned, both watches are very similar in appearance featuring 1.2” Super AMOLED screen with 306ppi and 360 x 360 pixels for resolution. Both smart watches have a dual core processer working at 1GHz max. 4GB of storage is provided for both Gear S2 and S2 Classic with 512MBs of RAM. To be more precise, the hardware is same under the hood for both models of Samsung’s smart watch series S2. Both these smart watches have wireless charging and 250mAh batteries that last up to 3 days. Samsung is looking into variants of the smart watches with cellular connectivity which will feature larger batteries. The battery life however depends more on how the watches are being used and power saving options. Both Samsung Gear S2 and S2 Classic are very similar on a number of levels including size, screen size, resolution, hardware, software and also battery life.